I’ve been driving for several decades. I’ve owned probably two dozen cars. My favorites were the ’67 350 “Camille” Camaro Convertible, which I sold (19 year olds do dumb things), the ’67 Nova “Sally” Station Wagon (doormat housewives do dumb things), an ’88 Honda Civic “Sam” I think and my ’76 “Simon” Capri. I love driving. I get a lot of writing ideas while I drive especially along 280 where you can’t beat the scenery. Too bad middle age, collateral damage from having too many kids and menopause have sidelined me to the back roads. But those back roads are beautiful too. My experience as a driver includes a spontaneous road trip to Yellowstone with my friend, Vicky, in Camille who was radiator-challenged. We drove through the Nevada heat with the heater on to keep the engine cool and stopping every 30 miles to refill the radiator. Also, my friend, Mary, and I took many excursions in Simon Capri that included Washington State, Yosemite and another jaunt to Yellowstone where we were hit by a camper. Mr. Floyd Flood was prompt to give me his insurance information, that, unfortunately my agent could find no record of. Huh! My final road trip was with my St. Mary’s roommate, Robin, to Vancouver BC for the 1986 World’s Fair in her parents’ Red S10 “Blaze”. I would say I’m a good driver. When I was younger that wasn’t the case. My friend, John, who lived in New York for many years, likened my driving to that of a New York cabbie. I took that as a compliment. However, with age, my driving has become cautious, considerate and kind. With this resume, I would like to pass on some lessons I’ve acquired from the road. There are many things I could write about, but I chose three, since these are the three that irk me the most. I am dumbfounded with the general neglect of this device. I wonder if the newer cars even have them anymore such is the state of its absence in daily driving. Typically, this device on the left side of the steering column. When depressed, it activates indicator lights in the front and rear of your vehicle thereby informing surrounding drivers of your intention to turn left. If you lift the device, the lights will inform the driver of your intention to turn right. It really is a simple task. I am baffled that many folks do not use it. I do waive my irksomeness if said car is of a certain age or has weathered some crappy driver storms. Skill level: Beginner. Suggestion: Use your blinker. I understand that these two terms might get mixed up, but permit me to define them. Yielding – Let ’em go. Just let ’em go. No need for some Disney background music. There is an intersection down at Westborough and Junipero Serra Boulevard, and there’s no sign, but I believe it’s a “Yield” situation, those cars are flying on JS, I’m not gonna try to merge with those folks. So I let ’em go. And the mergers behind me get mad. I don’t care. Now, Merging requires some collaboration. You must assess the lane to which you’d like to enter and determine if current occupants are going let you in. If there is some coldness to a potential merge, you’re better off yielding and letting them go. Don’t stress out, unless, of course you have someone honking at you in the rear. No sign language please. Merging is an art. When I do drive the freeways, I always drive in the right lane and I have perfected the merge. When it works, it’s like a beautiful example of team work. Driving could be such an art. Skill level: Intermediate. Suggestion: Study the art and flow of vehicle traffic. Four Way Stops….ugh. Driving can be stressful. Yielding, merging, braking, always on the look out for pedestrians and more, but I don’t know what stressing a driver more than a four way stop. When all four come to the stop together, I can’t think fast enough who’s on my right and who goes first. For a people pleaser, this can be very agonizing. There are two intersections down the hill: Manor & Oceana Blvd. and Manor & Palmetto. By the time I get to Walgreen’s which is just beyond these two intersections, I need to go home and take a break. Unfortunately, in our fair city, there are some rogue drivers who refuse to obey Four Way Stop etiquette and dart out as soon as they see an opening. This is where you must use restraint because a four way stop etiquette infraction can make you mad and you’ll want to race after them and stick out your tongue at them. But don’t, yield to your better self. Skill level: Advanced. Suggestion: Be alert when you come to intersection, and be considerate, most drivers are cool. 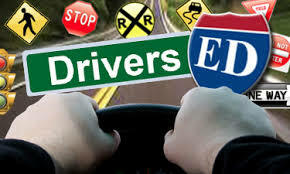 These driving elements can help on life’s road as well. Let people know where you’re going, don’t be too proud to yield or to afraid to merge. And be considerate and give the right of way to others. We’re all on the same road. Enjoy the ride!